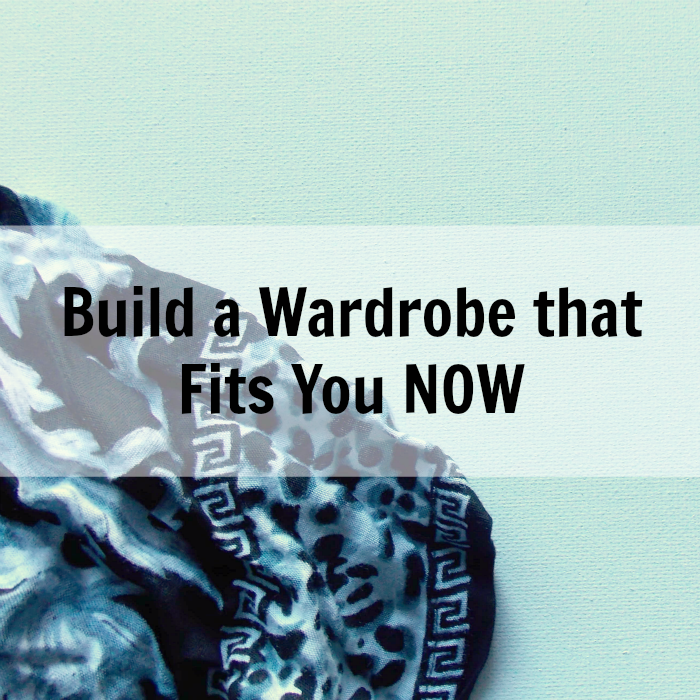 Regardless of your size, you should wear what fits your body right now. We tend to hang onto items that don't even work for our body anymore. They sag, squeeze, pull, and hang in all the wrong ways, but we keep them because of the memories of yesteryear. The trouble is, hanging onto yesteryear keeps you from embracing yourself today. It saddens me when I hear women struggling to embrace themselves. It's especially heartbreaking when their struggle is tied to how they look. They're overweight, or they're not in shape, or they don't have the muscular legs they used to. Your physical body is one tiny piece of ALL you are, and yet, we let that one little piece dominate how we feel about ourselves. What I've found in this journey of reducing, is that when I embrace who I am right now, and wear the things that fit my body now; I feel understood, accepted and ready to move forward. I'm not pulling and tugging or feeling squeezed. I'm wearing what's comfortable and most complimentary to my shape. That may mean that I can't wear some items I really love, and that's okay. I can add elements of those styles to my wardrobe, like hats, scarves and other accessories. I want to add one more thing, heart to heart. If you are overweight, please don't beat yourself up about it. If getting in shape is important to you then guilting yourself and thinking negative thoughts are most likely not going to help that goal. Personally, I'm a lot more willing to work on what I eat and engaging in exercise when I feel loved as I am. When I'm negative and demeaning towards myself, it defeats me and I'm rarely inspired to do anything about it. Be kind to yourself. You are much more than your physical body. So take out all those clothes in your closet that don't work right now. Stop beating yourself up about it and put on something you love that fits your body as it is right now. Helloooooo!! Love time no see. I'm so glad you're still blogging. I haven't looked at my blog list for so long and I'm inspired again when I see your lovely cyberspace again! Hello Joni!! So good to "see" you again! You know, your interview on my blog still gets lots of hits! People loved your calligrams. :) The camera one you sent me still hangs well-loved in my home. Hope you're doing well!